Some cats are cool and they know it! The way they strut around screams attitude! If you are mesmerized by your cat as much as I am, then you will agree that this Cool Cat collar charm is a must! 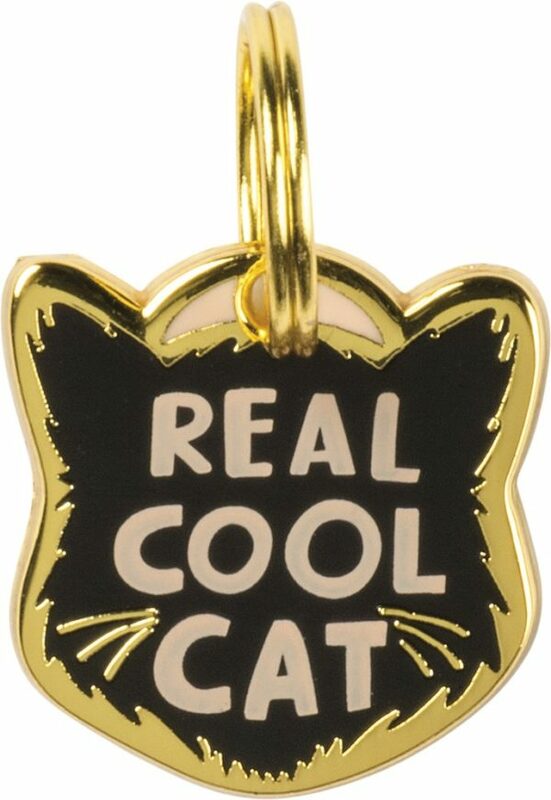 The Cool Cat collar charm has a durable enamel front, which is meant to last; on the back you can engrave important contact information, to help keep kitty safe. Cool cat collar charm is a fun, yet functional embellishment for your cat that is sure to spark conversation whenever anyone sees it! Kitties love bling and this cat collar charm is the perfect addition to your cat’s image! Pick one up today, so that everyone will know just how cool your cat is!